Today: We have a conversation with Marcus Martin of East Chicago-based "Grace Beyond Borders Northwest Indiana," a non-charitable public organization with a mission to combat homelessness in the Region. They have a 30-day campaign underway called "A Night Without A Home," where Marcus sleeps with the homeless each night to raise awareness about homelessness and to solicit support for an emergency shelter. Today: "Northwest Indiana Gazette" editor and publisher Ken Davidson joins us to talk about the issues surrounding the School City of Hammond's multi-million dollar improvement projects which includes a new high school -- projects which he says aren't being publicly discussed by the School Board. He has put out posts on his website about a strategic planning committee and bids approved on "consent agenda." Today: we talk with "Howey Politics Indiana" publisher Brian Howey about, among other topics, the talks tonight in Singapore between President Trump and North Korean leader Kim Jong Un -- last weekend's Indiana Republican Party convention in Evansville -- and this coming weekend's Indiana Democratic Party convention. Today: on this abbreviated "Reporters' Roundtable Thursday," we hear from Carmen McCollum, reducation reporter for "The Times of Northwest Indiana" and Carole Carlson of the "Post-Tribune" about the stories they worked on and published in print and online this week. We also revisit our recent "Quantum Leap" STEM initiative feature from Indiana Humanities on Goose Pond. Today: On this Reporter's Roundtable Thursday, we asked Indiana Public Broadcasting Stations' statehouse reporter Brandon Smith to talk about the special legislative session on Monday, and Joseph Pete of the "Times of Northwest Indiana" to tell us about the stories he posted online and in print. They included the dramatic rise in gasoline prices in northwest Indiana and of an upcoming cable TV network documentary about a Hobart woman who could be considered a serial killer. Today: Ed Feigenbaum, the editor and publisher of "Indiana Gaming Insight" and "Indiana Political Insight" newsletters, joins us to review how Indiana casinos -- including the Northwest Indiana boats -- did in February. (Spoiler Alert: they're all hoping for a better month of March.) Ed also talks about the 2018 General Assembly session, its successes and its failures -- especially in the final hours of the regular session. Lawmakers are preparing for a short, special session in May. Today: a conversation with Matt Deitchley, director of communications for the LaPorte District of the Indiana Department of Transportation, better known as INDOT. He'll review the history of Interstate-65 -- how it got so comgested -- and the plans for improving I-65 in Lake and northern Newton Counties. INDOT's contractors are widening the highway between U.S.
Today: Lieutenant Governor Suzanne Crouch visited northwest Indiana recently for a speaking engagement before the Northwest Indiana Forum. 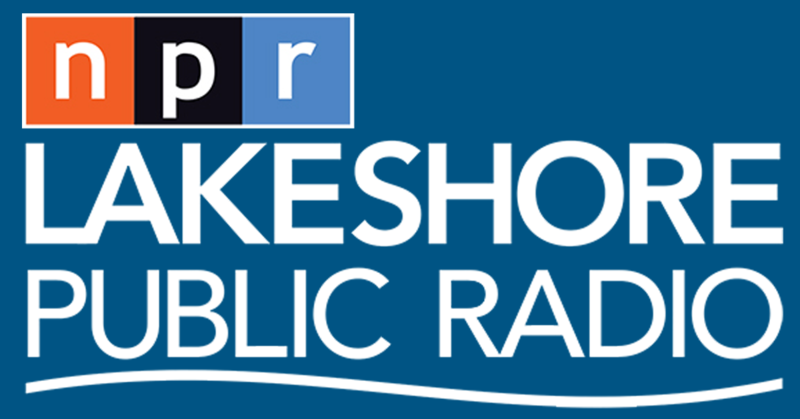 She also stopped by Lakeshore Public Radio and Sharon Jackson spoke with her about her comments on the Region. We bring you that conversation, along with a "Lakeshore Focus" program with host Keith Kirkpatrick and his guest, Jake Messing, Director of Behavorial Health at St. Catherine's Hospital. "Lakeshore Focus" airs on Lakeshore PBS on Fridays at 7:30 p.m.
Today: two conversations dealing with the laws and the rules and regulations behind the question of what is a "service animal" and what is a "comfort animal." The recent incident at the County Line Orchard between a visitor to the business and two employees prompted my associate producer (and board op) Dee Dotson and I to begin this examination of the issues and the conversations with Peter Berg, a veteran specialist and trainer at Chicago-based Great Lakes ADA Center and Rebecca Huss, a professor at the Valparaiso University School of Law who teaches courses in animal law. Today: a conversation with Mary Edwards, a northwest Indiana resident who (along with her husband) are personal survivors of a family suicide and how, over the past decade, she'd come to grips with the tragedy and is now devoted to the American Foundation for Suicide Prevention. The AFSP is holding two local "Out of the Darkness" suicide awareness rallies this month, the first September 17th in Chesterton and the second on September 30th at Wicker Park in Highland. Today: a conversation with Valparaiso's new Police Chief Jeff Balon. Mayor Jon Costas recently promoted Balon, who was the head of the Police Department's investigations division, to the department's top leadership post. Balon took over as head of the department when Michael Brickner, the only police chief to serve during Costas' 14-year tenure as mayor, left to become executive director of Porter County's newly created Emergency Communications and Public Safety Department. Today: An extended conversation with northwest Indiana State Senator Karen Tallian (D) about the 2017 General Assembly session, the issues and the bills that addressed those issues and her thoughts on what might come up on the agenda of the 2018 Indiana Legislature session. Northwest Indiana financial advisor Greg Hammer joins us again to talk about the Trump administration tax reform program, as it now exists, and some common-sense advice to high school and college graduates as they get into the workplace and start earning a paycheck.